Supplies vitamins and minerals, plus select herbs. Scientifically formulated to nourish your body for optimal metabolism, growth, repair and reproduction at the cellular level. * A Core Product for Cellular Nutrition. 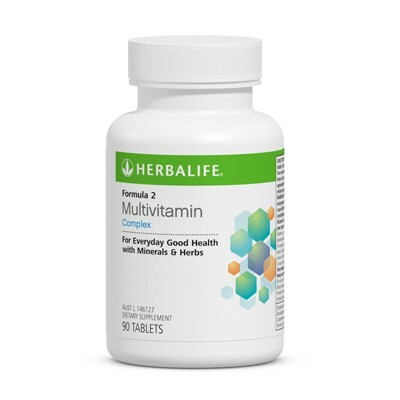 Take one tablet three times a day with meals.May be part of a personalized Herbalife program that includes Formula 1, Personalized Protein Powder and Cell Activator®. Stress, poor diet and exposure to pollutants can cause poor health and slow weight loss. 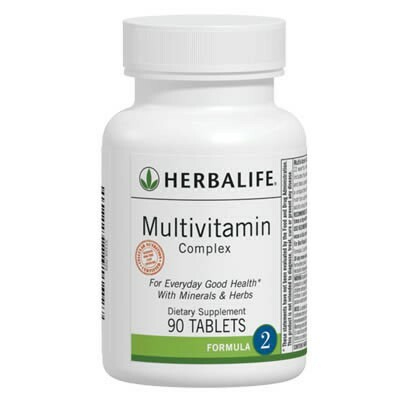 Formula 2 Multivitamin provides over 20 essential nutrients and antioxidants, including folic acid, calcium and iron.Supplies vitamins and minerals, plus select herbs, to support healthy weight management, overall good health and vitality. It works well for energy during the day.